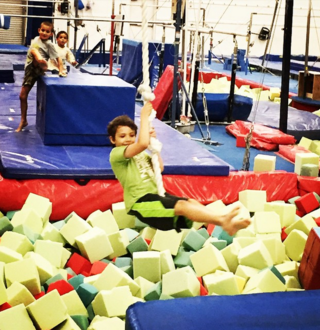 Pistachio is proud to be the new sponsor of Autism Society of San Diego’s Family Fun Gymnastic Night in Carlsbad. The Magdalena Ecke Family YMCA in Carlsbad will provide the gymnasium equipment and bounce house. And proceeds from Pistacho’s recent Cut-A-Thon Autism Awareness fundraiser will help provide the fun!